Intro with director Ryan Schifrin (8m 35s, HD) Schifrin sits down for a one on one with us and tells us about this blu-ray release as well as talking about how we got here in the journey from film to blu-ray. This intro is only accessible when selecting to play the film. Back to the Genre: Making Abominable featurette (37m 15s, SD) Made during the film’s production, this featurette gives us a great behind the scenes look at how the film was. Interviewed are most of the principal cast (Lance Henriksen is absent from the interviews, but present in the fly on the wall segments) while writer/director Schifrin leads the way. Deleted and Extended Scenes (6m 14s, SD) Nothing of note here. “Basil and Mobius: No Rest For The Wicked” (16m 16s, HD) A nice little short that begins as a heist and then goes down some roads I did not see coming. Ray Park, Malcolm McDowell, and Kane Hodder are among the cast. 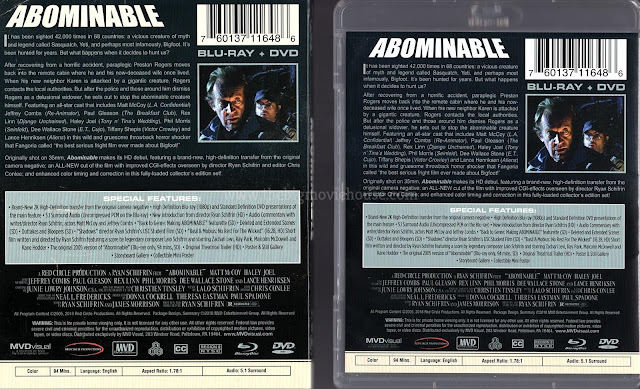 The Original 2005 Version of “Abominable” (1h 33m, SD) This version is two minutes longer (despite what Schifrin states in the Intro) than the HD version. I have a feeling it has to do with the end credits as they are a bit different than the ones found in this version. 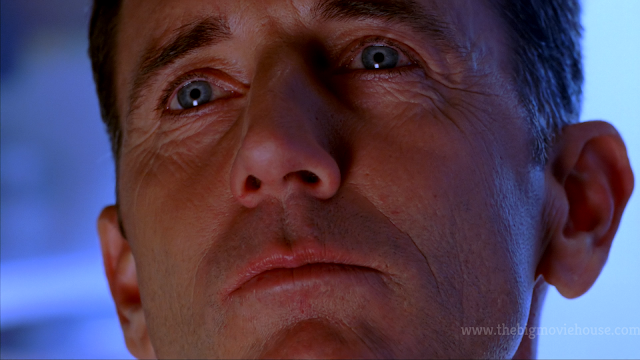 Still, there are a few effects shots (mostly the creatures eyes) that are different but don’t impact the run time. Commentary with director Ryan Schifrin and actors Matt McCoy and Jeffrey Combs (Found in the Set Up menu) This is a really good commentary that covers all the different facets of the production. Schifrin talks about the writing and directing while McCoy talks about the acting. Combs chimes in for his scenes and then is mostly absent from the track. 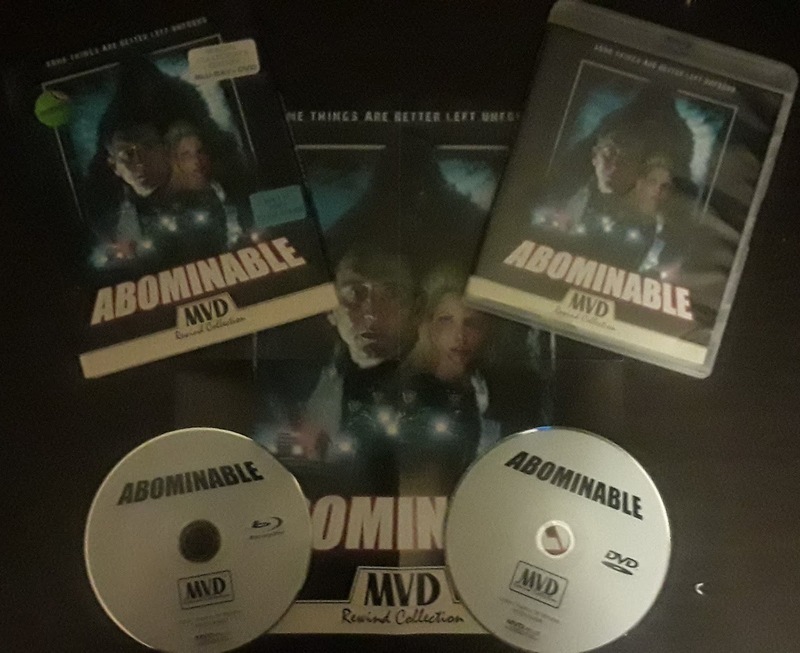 Abominable comes to us from MVD Visual as part of their MVD Rewind Collection. The discs (1 Blu-ray, 1 DVD) come housed in a clear, non-eco friendly blu-ray case. The artwork on the case, as well as the beautiful slipcover, feature the original artwork done up by Drew Struzan, who has done poster art for films like Back to the Future, Indiana Jone, and Harry Potter. If you are a film fan, and why aren’t you if you are reading this review, then you, at the very least, have seen his work. The slipcover is made up to look like it came from a video rental store. It has “stickers” on it like a genre sticker (horror, of course) and a “Don’t Be Fined, Please Rewind” sticker. There is also a mini poster included featuring the Drew Struzan artwork. 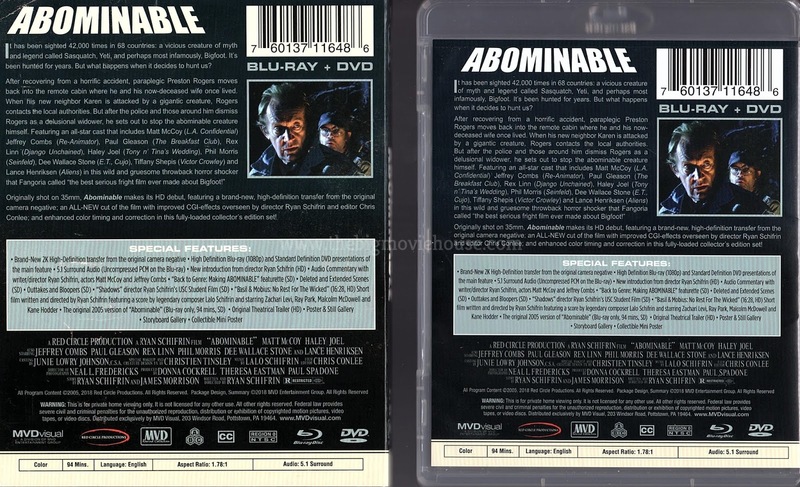 The discs are plain white with the title of the film and what format the discs are being the prominent writings. When the film was shot back in 2005, the filmmakers never made a print from the original 35mm negative because they were editing the film digitally and it was going straight to cable. When the director discovered that the negative was falling apart, he had it scanned for preservation. He then found out that, outside of the DVD that came out in 2006, there was no other release of the film. The team at MVD went in and did a 2K scan of the film for this release and the results are gorgeous. Colors are the thing in the film that pop the most. 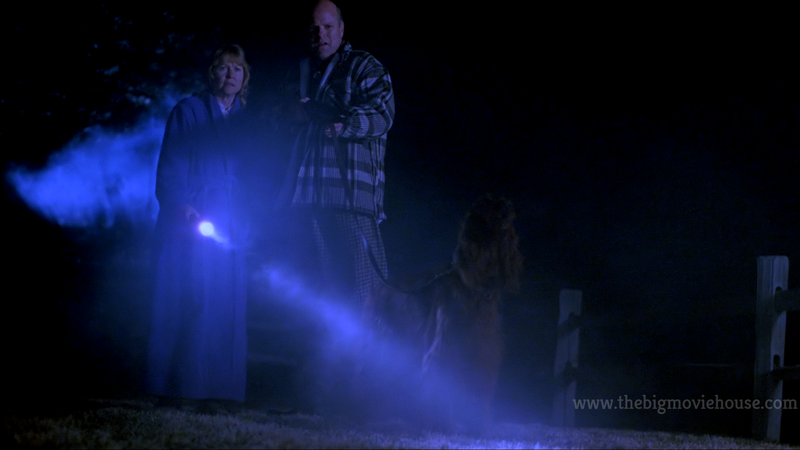 Many of the nighttime scenes have a blue tint to them that looks really good. Detail is very high due to the thin layer of grain that is present throughout. Skin tones look accurate and blacks are very deep. The sound, in the form of a 5.1 DTS-HD track, is pretty impressive. Dialogue is crisp and clear and the surrounds get a bit of a workout, especially in the latter half of the film. The monster sounds awesome as well. It has been sighted 42,000 times in 68 countries. A creature of myth and legend known by several names; Yeti, Sasquatch and the infamous Bigfoot! We've hunted it for years, but what happens when it decides to hunt us? 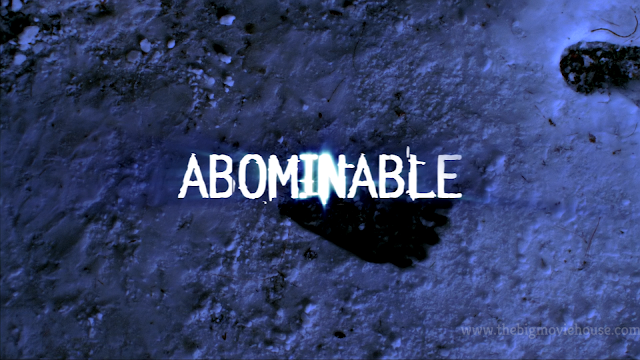 "Abominable" centers on a man recovering from a mountain climbing accident, trapped in a remote cabin in the woods, who sees the legendary beast, and must convince someone to believe him, before the monster goes on a bloody rampage. Abominable is a really fun film. It doesn’t take itself too seriously and presents us with a few things that we have never seen before. The film is a mixture of Alfred Hitchcock’s Rear Window, where a man bound to a wheelchair spies on his neighbors only to realize that there is something, or someone trying to kill them, and then tries desperately to warn them, and a monster movie. This is confirmed in the special features found on this disc, but it is very apparent what the director was going for. 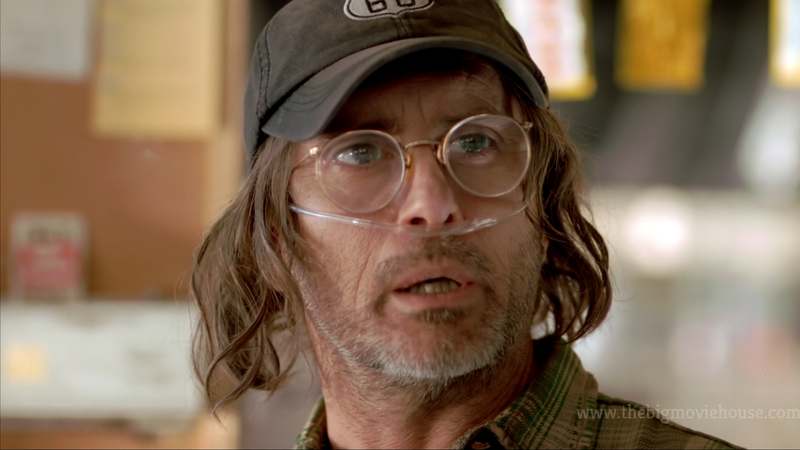 The film plays up the tension that comes from not being able to run over and help people in need, but it doesn’t really dwell on it. The monster does take one of the girls pretty early on but doesn’t come back for the rest until later in the film. It spends most of its time (during the first half of the film anyways) killing a small group that is trying to kill it. 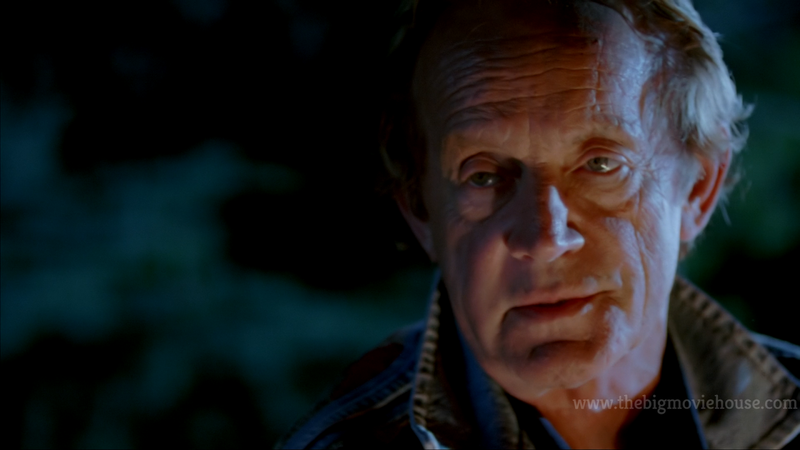 While the scenes with the hunters are pretty good (you have Rex Linn, Jeffrey Combs, and Lance Henriksen together. Of the scenes they are in are going to great), but doesn’t really add anything to the film except a higher body count. There is nothing wrong with this approach and a higher body count is always welcome. It just seems like this scene exists because of the actors involved with it. There are two big things that will draw many people to it. 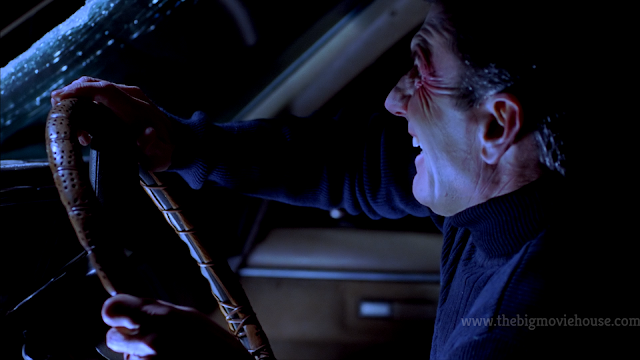 First is the fact that the film was shot on 35mm film. This is a bigger deal today, but it still was something that was going away around the time that the film was made. 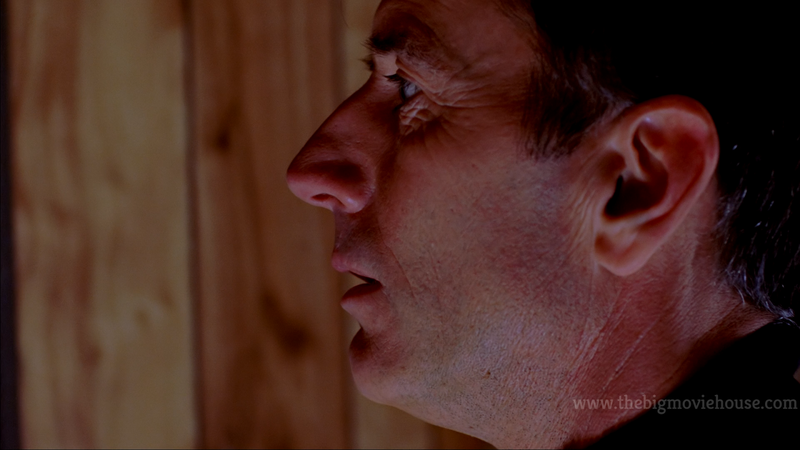 Shooting on film allows the film to feel a lot bigger than it would have if it was shot digitally. 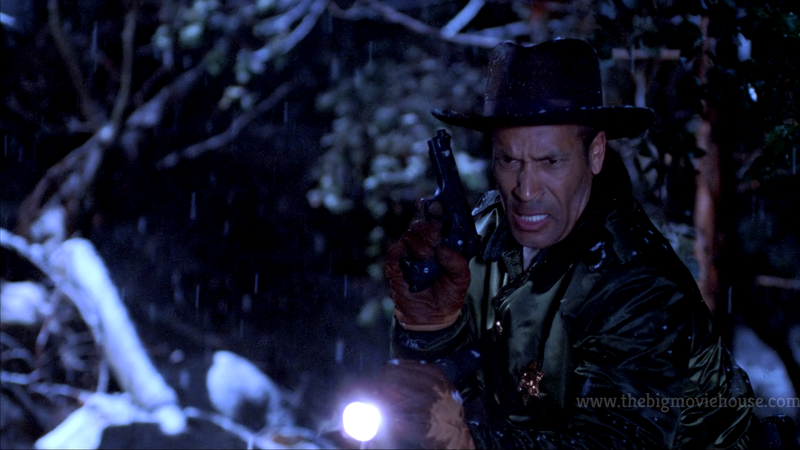 The film looks great and, except for some of the earlier scenes, never really feels like a low budget film. If the film had been shot digitally, it would have felt smaller and kind of lessor. The second thing is the fact that the effects are done practically. There is some CGI in the film, but it isn’t used on the gore. 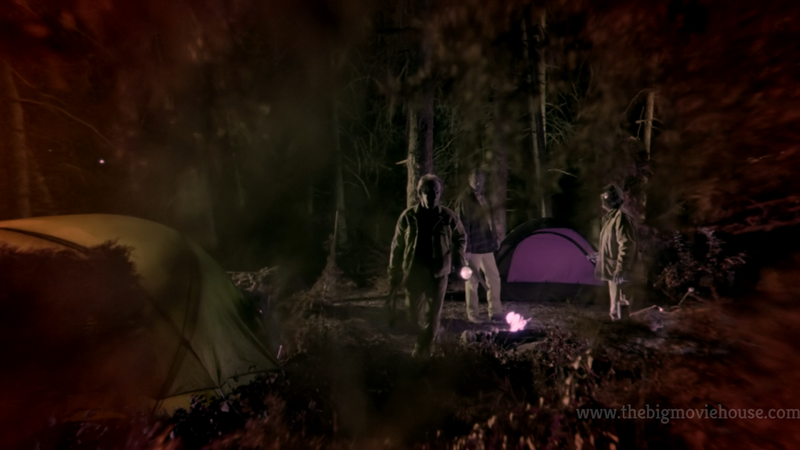 There are no fake blood spurts that disappear in mid-air like we get now with CG-blood. Everything thing from the stomach of the girl found in the cave to the ax going through someone’s back is done right there on set. The monster is also done through the magic of a guy in a suit. In the behind the scenes featurette found on the disc, we see how they made the monster look so menacing. The work done on the monster, and all of the effects is impressive. Abominable is a good time. While the film is never really scary, it does offer up a few good jumpscares that never feel forced. The film really goes out of its way to entertain us and we appreciate the film for it. This was a film that slipped under my radar, but I am happy that I have been able to see it. The blu-ray, from MVD Visual, is really great. The picture quality is amazing and the film sounds great too. The special features are worth the watch, including the short film Basil and Mobius. This is just a really fun release that will make any fan of monster movies happy.